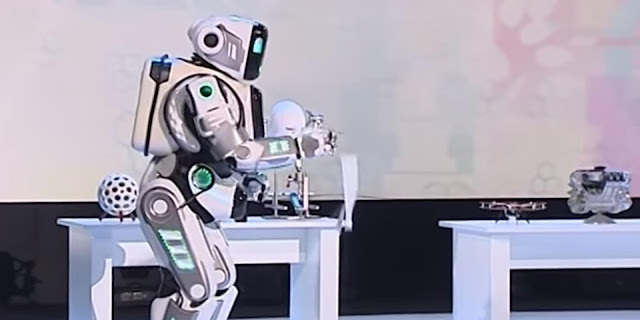 Japanese Technology company "Toyota" is introducing third Generation Robot. Specifically this robot is based on 5G Technology and can work same as Humans do. Special technology art in this Robot is it can be control 10 kilometers away with support of 5G technology which will be control by human. For this company also designed a technology, which will support Robot to move same as the designed system will move on the other end, if system will stand on one leg, robot will also stand on one leg. Human operator will control this Toyota robot with Virtual reality headset and sensor system in real time. This is the most advance version of the robots so far. These third Generation robots can be use in any sector from Hospitals to war zones.